A copywriter was working on a digital ad campaign in our agency. Her job: write 300 headlines for an auto-optimized dynamic banner. In advertising, we’ve been trained our whole careers to believe that creative is precious. We get one shot to get it right, so every letter in a headline makes a difference. Every pixel in the ad pushes it one step closer to being featured in Archive Magazine. David Bowie or Jennifer Connelly? 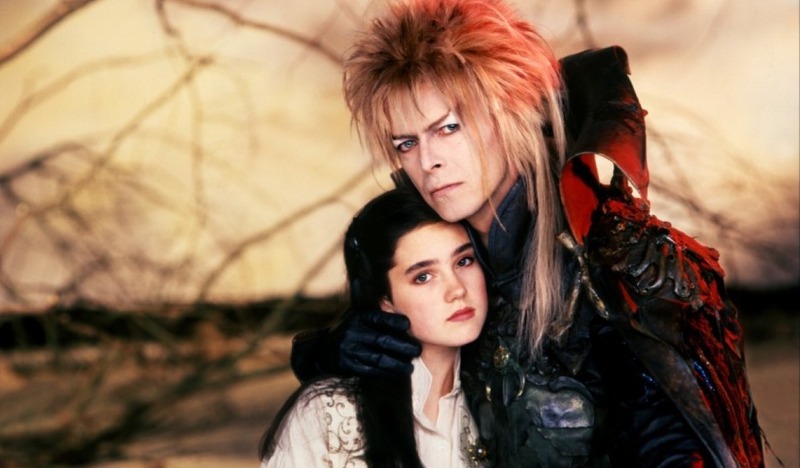 How "Labyrinth" is Exactly Like an Ad Agency. Let the robots do the work. Technology has advanced faster than creative and it’s been waiting for us to catch up. The key ingredient: programmatic media. Simply put, instead of showing the same ad to everyone, we can target specific ads to specific people, while continuously optimizing who gets what. Everybody is a special little snowflake. And there are a crap-load of snowflakes. But the truth is, you can’t do effective programmatic advertising with the stories we tell through traditional creative. Historically, we’ve made a single, catch-all piece that crams in every messaging point and appeals to as many people as possible (see: every TV spot ever). Now, instead of one generic story, programmatic creative is about telling a thousand specific stories in a thousand different ways, and telling the right story to the right person. There are lots of people out there, right? So, we need to make waaaaay more content. That means one or two beautiful print ads won’t do. We’re building a million targeted digital units. We can’t shoot one perfect TV spot anymore. Now we’re creating 100,000 unique social videos. Creative strategy is no longer about perfection. It’s about personalization. As a creative, I know this is going to take some getting used to. It’s a completely different way of thinking. While making a metric crap-ton of content sounds great in theory, it gets expensive in practice. To a producer, making a thousand videos is like making thousands of TV spots. Oh God, that would be a nightmare. Saying you want to make thousands of videos is an easy way to give your producer a heart attack. To simply make one spot: that’s months of planning, a week of shooting, weeks of editing. Sound design. Mixing. Coloring. All to get it ready for that multimillion dollar media buy. All to make it absolutely, 100% perfect. Now multiply that times a thousand. The time, money, and energy spent to do that would be impossible. Which is why we need to shift our focus. The online world cares little for the polish and shine of TV. In fact, its citizens are trained to ignore that. They appreciate the raw authenticity of a good idea. So, the question is: how do you meet the quantity without sacrificing the quality? The answer will define the next decades of advertising. A million to one odds. Or a million to a million? Which sounds better to you? Spend a million bucks to make one video? Or spend a million bucks to make a million videos? We’ve entered a time where agencies don’t decide which creative is best; the people do. But for that to work, they need options. We, as creatives, are no longer the Don Drapers of the world, walking in with a few beautiful words and a storyboard that we’re really just guessing will sell something… maybe… hopefully. Now, we can measure everything. And that includes which piece of creative works the best for each person. Would you rather have one chance to make that shot? Or a million?